EasyWipe, the bottom wiper personal hygiene aid that reaches and cleans where you can't! Designed by an Occupational Therapist, EasyWipe is simple to use! It is light, sturdy and easy to keep clean. You will be able to discreetly carry your EasyWipe in its own travel pouch which is included. The EasyWipe consists of a central body with a soft rounded silicone end to which toilet tissue or toilet wipes are attached. At the other end, a push button will release the paper tissue or wipes after use. Made from touch and durable plastic with a silicone rounded end for wiping. Ergonomically designed to be a comfortable, safe to use and to assist reaching when wiping is difficult. Latex free. Complete user and care instructions included. A Chris Clarke Designed Product. For external use only. International patents pending. Bottom Buddy, the toilet tissue aid! The answer to personal hygiene when reaching is difficult! This unique, design can be used with any toilet tissue or pre-moistened wipe. An opaque storage bag is included; you can take your Bottom Buddy anywhere. 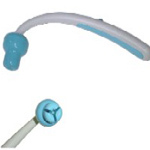 Freedom Wand is designed as a personal hygiene aid for toileting, applying ointment and bathing. Ideal for anyone with limited mobility due to spinal injuries, obesity, etc. Four extyendable fingers grip toilet paper. Length adjustable!